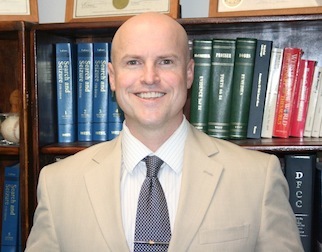 Dan McGuinness practices primarily in the field of domestic law, wills and trusts. He has significant experience with the following areas: parental responsibilities, child support, maintenance, adoption, foster care, civil protection orders, dependency and neglect, grandparent rights, step-parent rights, interstate jurisdiction issues, division of large marital estates, allocation of decision-making responsibilities, psychological parents, valuations of business assets, child abuse and spousal abuse. He attended the University of Michigan for both his undergraduate and law degree. He is licensed to practice in Colorado and the Southern Ute Indian Tribal Court. He was attracted to the practice of domestic law for the opportunity to help individuals deal with these vitally important issues. He is able to obtain favorable results for his clients through careful attention to the details, thorough preparation, comprehensive understanding of the applicable law and familiarity with the differing manner in which the various local judges address these various issues. Thank you for your help on my case. I felt that you were very well prepared for the trial going into it, and the trial and the result confirmed my feelings. I am very happy with the results of the trial both on the financial side and the family side. I am greatly appreciative for all of your hard work and will certainly be in touch if we have any further complications moving forward. Throughout the litigation your communications were clear and logical, the approach that you developed to my case made a lot of sense. Thank you again.